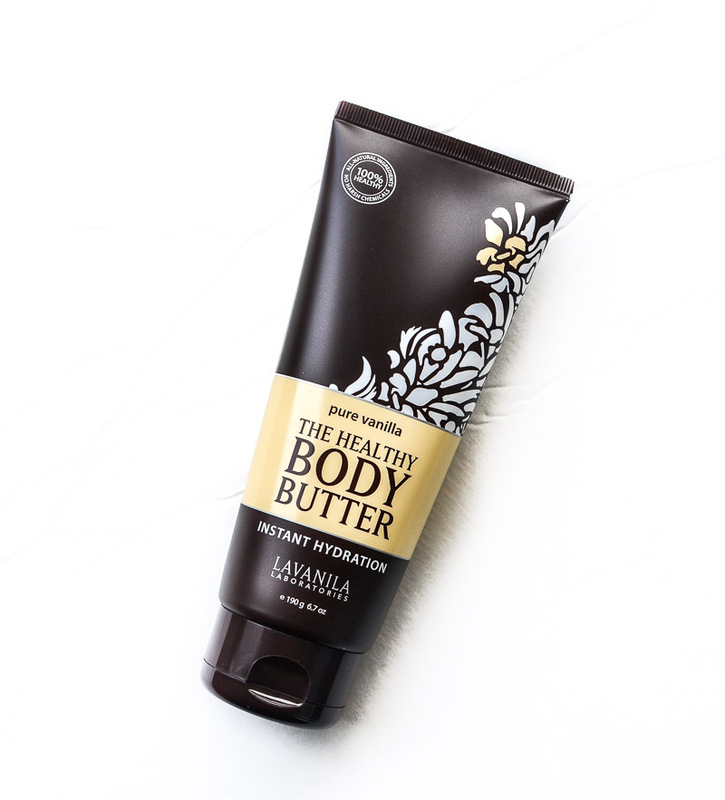 The Lavanilla body butters are described as a nongreasy formula, but to me it feels more like a very light body butter. 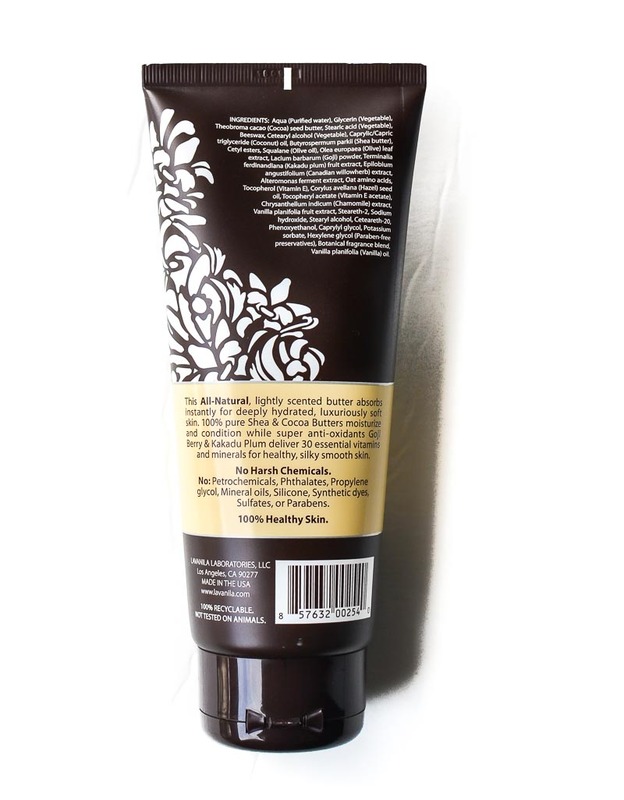 The ingredients in this body butter include cocoa butter and beeswax so there is a tiny bit of an oily feel to it, but the product is easy to massage into the skin and absorbs quite fast and easily. The Pure Vanilla body butter has a sweet vanilla fragrance to it - a blend of fresh Madagascar vanilla and tonka bean. I love vanilla-based fragrances, so it is easy for me to love this soft scent on my skin, but do keep this in mind if you have a sensitive nose and/or don't like vanilla-based fragrances (my sister doesn't). 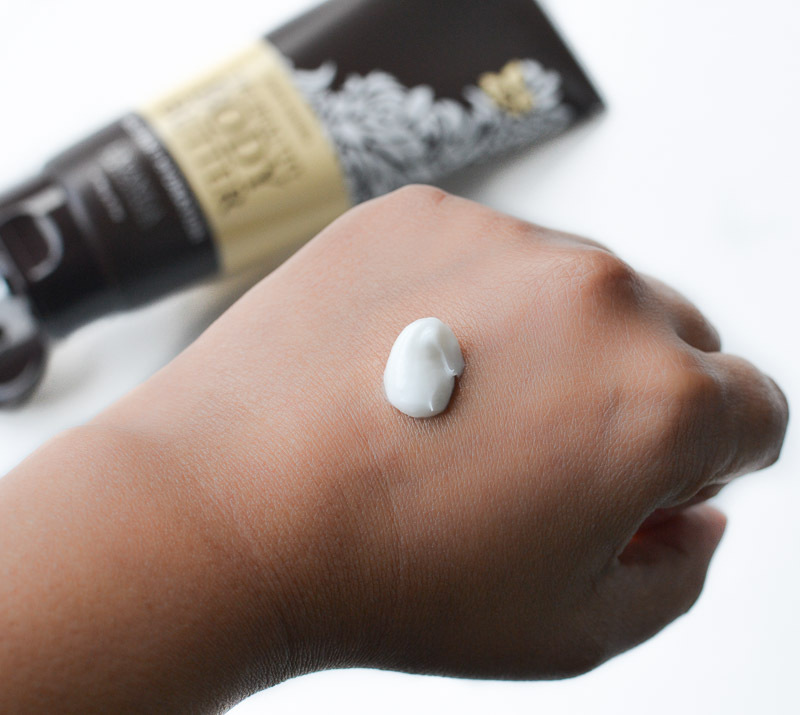 For me, the Lavanila Healthy Body Butter is a good pick when I need a quick-absorbing yet deeply moisturizing body butter for my dry skin, and it leaves my skin soft, smooth, and hydrated all day long.